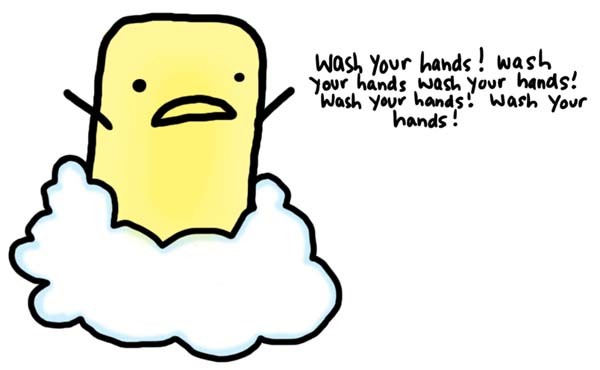 With all the flues and colds we deal with every day, and especially this time of year there is now hand sanitizer everywhere! Almost every shop or business I go into has it on their desk or somewhere for you to use. But you should know more about this product before using it! The ingredient Triclosan (which is in almost all hand sanitizers) has been linked to liver and kidney failure, abnormal cell growth, it causes a resistance to antibiotics, and is linked to allergies and reproductive system problems. It kills germs alright, but it also kills the good germs that fight off the bad ones! Also on the American Medical Association website they don’t even recommend using antibacterial hand soaps. This knowledge is out there, but you’re not going to find it if you don’t look a little! What to do instead? 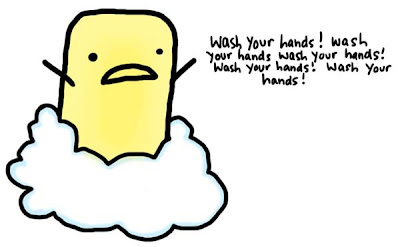 What we should be doing anyways: wash our hands with regular soap and water; a lot! Wash them-of course-when you go to the bathroom, come home from shopping or work, and before and after cooking. Hand sanitizer might be quick but think of your long term health!